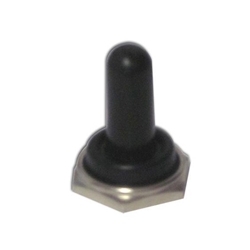 Toggle switch boot, used to keep dust from internal switch. UL Recognized component listed in SAMS. Required when installing toggle switch in UL Listed signs.